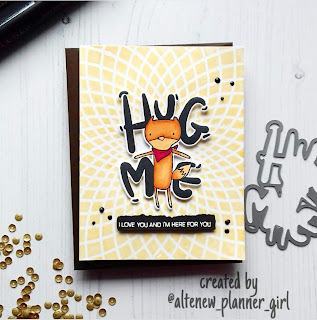 Home is where the craft is.....: Altenew don't just do florals! 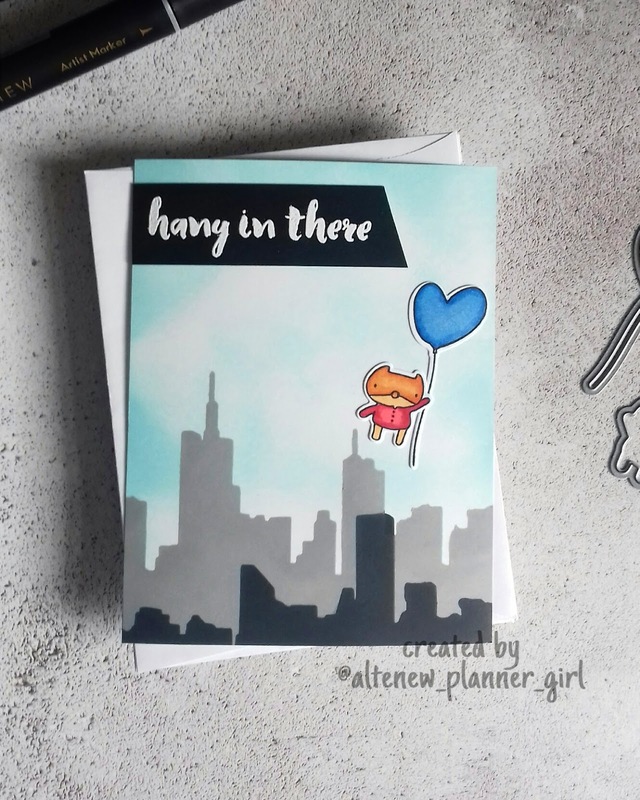 Hi there, today I wanted to share with you a few cards I've made over the last week or so. We all know and love Altenew for their stunning floral stamps and as you are aware I have a large stash of them (Don't tell my hubby) but I have recently started to purchase some of their Character stamps. 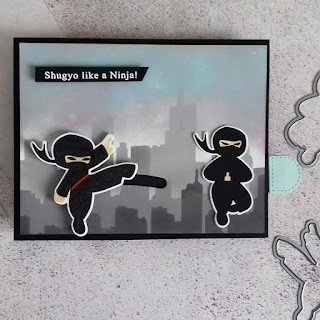 These stamps are awesome for men, youngsters and those occasions when you want something a little bit different. 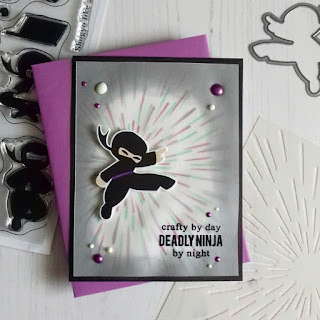 First up are two cards I've made using the Hug Me stamp and die set. 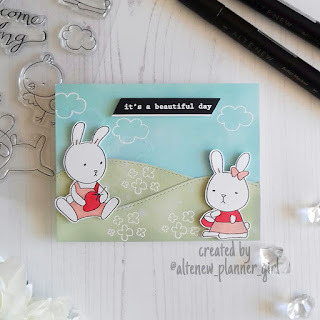 I only received this stamp set on Monday and had to use it straight away, it's called Bunny Love and has 6 good sized animal stamps in the set, 4 bunnies and 2 chicks. Perfect for spring time crafting. 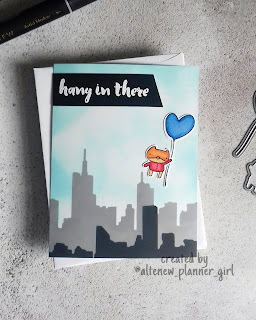 This style of card is very different for me, but I love it, those little faces are just too cute. Last up is the Ninja Invasion stamp and die set, this is one of the funnest stamp sets I've used for a long time, there are so many creative possibilities. 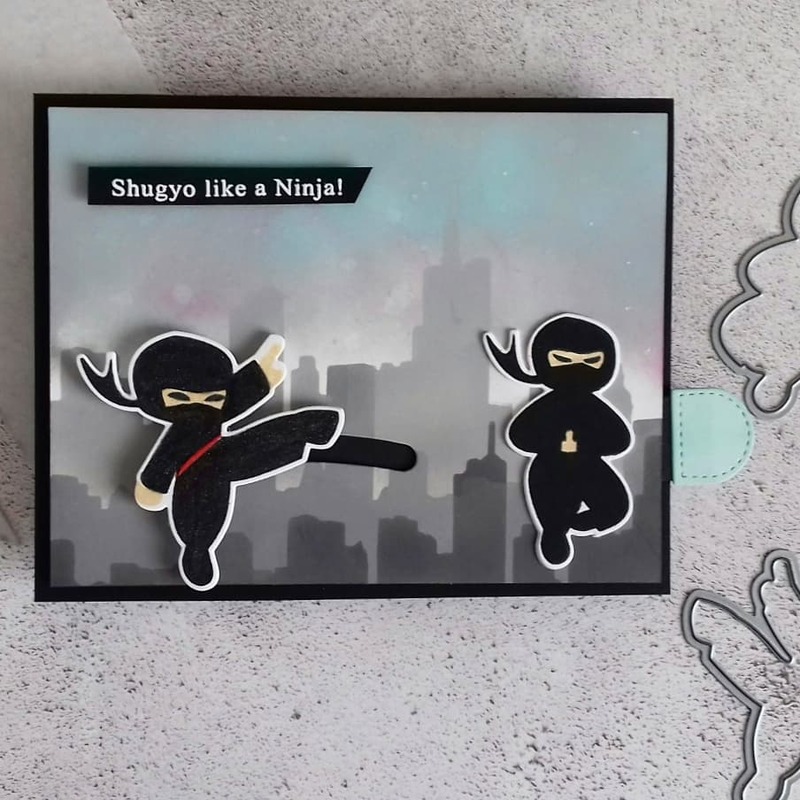 The card above is interactive, it has a little pull tab which when pulled makes the Ninja on the left lunge towards the other, so cool! 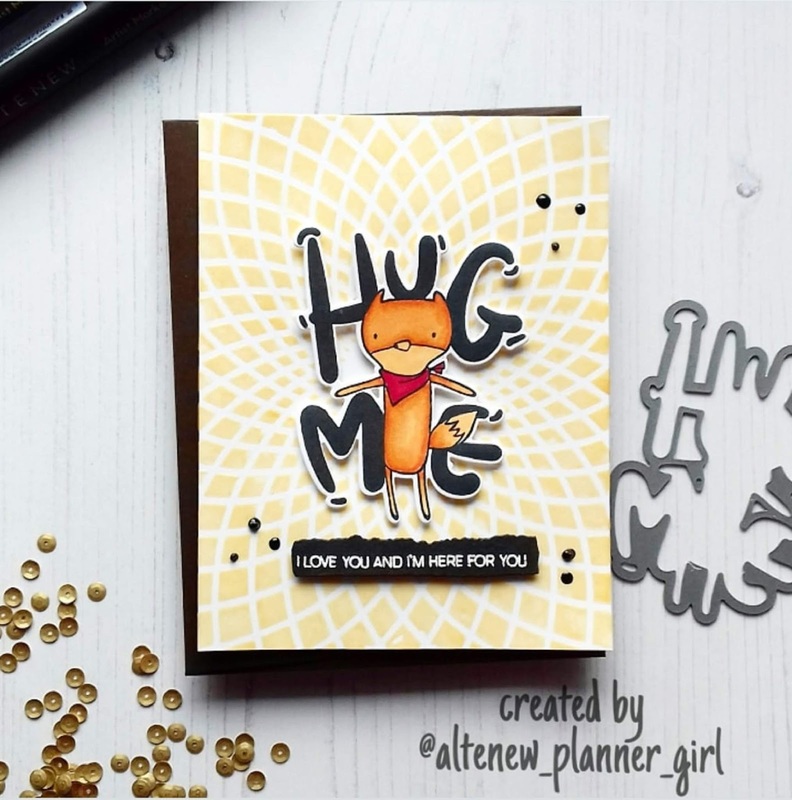 I am having so much fun with these stamp sets and really hope that Altenew will bring out more in future. 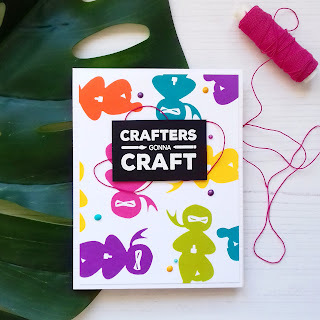 If you are looking for something new to craft with maybe one of these could be your next purchase.